Helping you tackle world-scale problems, Oxford's MBA is a one-year programme for a complex, fragile and increasingly connected world. Our world is unprecedentedly complex, connected and fragile. Our trust in institutions and each other is under intense pressure. Our energy, food and water security, our aging populations, the explosion in stored data – these all require managers and leaders of unusual ability, sophistication and integrity. An MBA has never been more necessary. At Oxford, the one-year MBA programme will equip you with these things in a single year of intensive, immersive, and challenging experiences. 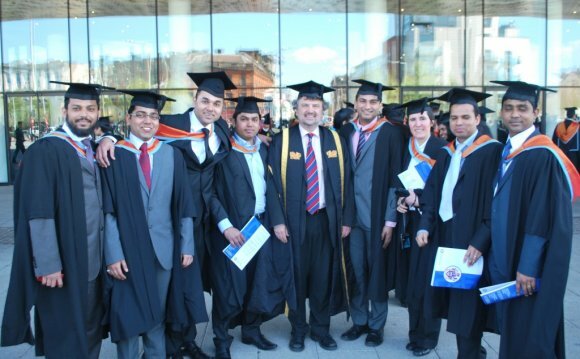 The University's full-time MBA programme brings you core competence and deep specialisation. To succeed in business, you need more than business skills. A top ranked programme embedded in a world class university, the Oxford MBA bursts the business bubble by being fully embedded in a world-class University. Thanks to your affiliation to a college, you will come across a wide variety of non-business backgrounds and participate in a lively intellectual community. The Saïd Business School offers a challenging and thought-provoking degree through an engaged community of faculty. As part of this full-time programme you will complete the GOTO (Global Opportunities & Threats Oxford) Entrepreneurship course, a new school-wide community of learning to which MBA students, Executive MBA participants, alumni and faculty are invited to participate in a process of critical engagement with a fundamental and emerging global theme. The assessment regime is a flexible combination of final examinations, group and individual assignments, and practical work, subject to the constraint that at least 60% of marks should be allocated on an individual basis, and that not more than 20% is allocated to practical work. Teachers are encouraged to tailor assessment methods to most effectively achieve the desired learning outcomes. Assessment is performed at the end of each course. If you fail to achieve the required standard you have an opportunity to retake or resubmit the assessments the following term. Integration of knowledge across functional areas is encouraged through the integrative nature of the Entrepreneurial Project and the Strategic Consulting Project. You will be required to make regular presentations to teachers, examiners, and business practitioners, and, in some courses, these would be a required part of the assessment. Whether you want to get a top job in banking, consulting or industry, become an entrepreneur, or pursue a career in academia, the school’s careers service can help you achieve your goals. The careers service provides interview training, helps you to develop your networking skills, assists you in producing excellent CVs and ensures you are prepared for anything the job market can throw at you. You will also have access to a select group of sector consultants who have experience of working for leading firms across a broad range of sectors including management consulting, finance, high tech, new ventures, media and communications, and diversified industry. The Oxford Business Alumni Network (OBA), the official alumni network of the University of Oxford Saïd Business School, was established in 1998 to provide a focus for Oxonians who have a special interest in the world of business. There are more than 12, 000 OBA Network members living in 129 countries across the globe. The OBA Network is overseen by the Saïd Business School Alumni Relations Office. Ngaire Woods (pronounced "nyree") (born 13 February 1963) is a New Zealand-born British academic.